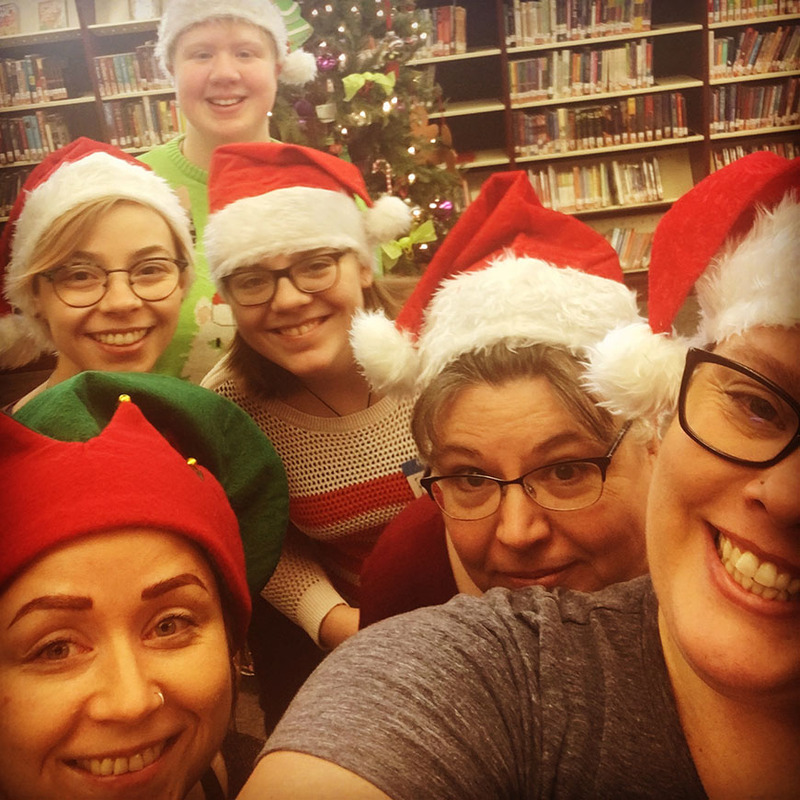 A Q&A with Channing Stenhouse an Employee from the Peace River Municipal Library. Which not-for-profit/ agency do you represent? I represent the Peace River Municipal Library. Our organization has been serving the Peace Region for 85 years! To engage, stimulate, and connect the community by providing access to resources, tools, and opportunities. We have something for everyone. If you’re looking for a quiet way to help, we have shelving, facing books, program prep, DVD cleaning, and seasonal cleaning. If you’re looing to meet new people or like working with kids, we have programs and events you can help with. Of if you want to be a part of our leadership, you can apply to join our library board or our fundraising group, Friends of the Library. What is the best part of volunteering with your organization? Engaging and interacting with a wide range of community members in a fast-paced environment. What is one of your favourite moments while volunteering with your organization? Meeting and interacting with all of the wonderful people that utilize the library. Can minors volunteer with you? Yes, our youngest volunteer last year was 9 years old! What can a volunteer expect while volunteering for you? We appreciate everyone’s unique abilities, so you can expect a personalized experience. How does your organization celebrate volunteers? That depends on the volunteer. We know some people are happy with kind words and others want something more. Let us get to know you and we’ll celebrate together. How might someone volunteer with you? Ask a staff member for an application. A Q&A with Stacey Messner the Vice Chair for the Horizon Learning Centre. Peace Association For Life Long Learning (PALLL) that currently operates out of the Horizon Learning Centre (HLC) in Peace River. I have volunteered with PALLL for 2.5 years, started as a tutor, then as a Board Member – first as a Director and now I am currently Vice Chair. To provide programs, courses, and services to adult learners in the Peace River Region. Tutors for adult learners (individual and group) who are improving literacy to become more fluent and confident in their language and numeracy skills, preparing to write exams or for entrance into a post-secondary program for adult upgrading, written drivers licence exam, English as a Second Language (ESL), and Canadian Citizenship exam. Board Members (individual and organization) who are passionate about providing a supportive place for adult learners to improve and advance their literacy skills. Specific projects for special events that inform and create awareness within our community the services that we offer. Even though our mandate is to provide adults in the community with learning opportunities, our volunteers also get to learn – by meeting new people from diverse backgrounds. That’s the best part! Building relationships with others in the community and being a part of their learning and growth. It’s rewarding to see the difference our centre can make in peoples lives and that kind of environment adds value to the lives of our staff and volunteers as well. When I volunteered as a tutor, the adult learner I worked with smiled and laughed. It was at that point I know that I made an impact with them. It made me feel so good and that what I was doing was worthwhile. I truly believed at that point I was helping them. Volunteers can expect that they will be provided with an orientation, training opportunities, and a positive inclusive environment to be in. Whether they are tutoring or helping out with special projects or events we are grateful for our volunteers and want to make it easy for them to contribute. Our organization celebrates volunteers through highlights in our e-newsletter and social media, bi-annual events at HLC, and through tokens of appreciation such as gift cards. To receive a volunteer application please e-mail admin.learningcentre@gmail.com, drop in during open hours, or give us a call at Please find us on Facebook at www.facebook.com/horizonlearningcentrePR . 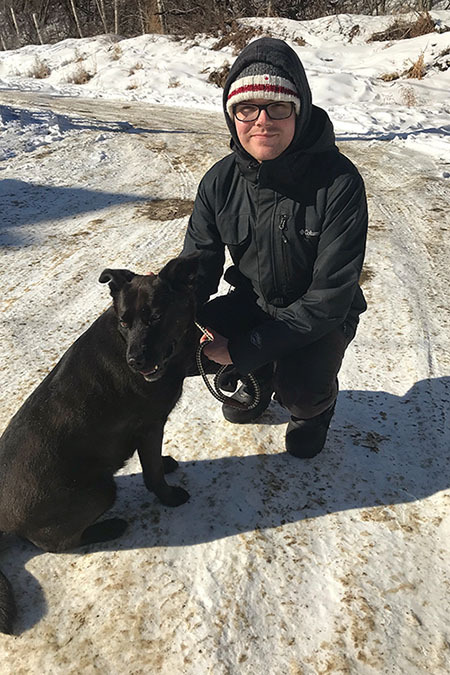 A Q&A with Breanne Cowie an Employee from the Peace Regional SPCA. I have been with the shelter for 15 years. Our mission is to provide our community with an adoption center to care for and re-home stray, abandoned, surrendered, abused and neglected dogs and cats and promote humane attitudes and responsible pet companionship through educational programs and community leadership. We are a provincially incorporated registered charity dedicated to the welfare of animals. We are non-profit and rely solely on donations and fundraisers to operate. Our shelter services all areas and we are able to rehome hundreds of animals each year. Our animals are with us until they find their forever homes, and we are happy to ensure spaying and neutering all of our adopted animals to reduce the overpopulation crisis. Our shelter is open 7 days a week, and we are always welcoming new volunteers! Our volunteers enjoy spending time with the animals, whether it is spending one on one time with the cats and dogs, brushing and grooming the animals, walking dogs, doing odd chores around the shelter or volunteering at fundraising events. We are also always looking for foster homes for special needs animals, or nursing mothers. Our volunteers love getting to spend time with our animals, getting the dogs out and about for walks or hikes and handing out treats or toys. We host lots of fun fundraising events during the summer months that provide volunteer opportunities for those looking to give back to their community. While working at the shelter I have had many opportunities to help animals get to their forever homes, as well as meeting countless amazing families who have adopted. Seeing animals find their forever homes is always the best part about being in animal rescue. Our volunteers feel good knowing they were able to bring some extra joy to the shelter animals day or by donating items the shelter is in need of. We do allow minors to volunteer. We ask that volunteers under the age of 14 are accompanied by a guardian for safety reasons. When volunteers come to the shelter, our staff is happy to give you a tour of the building, go over the rules and answer any questions you might have. Dog walking is one of our biggest needs for volunteers so we ask if you are looking to exercise some of the dogs to dress for the weather. You can expect to fall in love with a few animals as well! Our organization has many regular volunteers who have been coming in for years, which many staff have become close with and love to visit when they stop in. We like to highlight some of our dedicated volunteers on our social media pages as well as acknowledge them whenever they stop in, and we will be looking into hosting a volunteer appreciation day during one of our summer events! If you are interested in volunteering at the SPCA, please stop in anytime between 12:00-5:00pm, 7 days a week, and a staff member would be happy to assist you. We have a Volunteer Waiver form, and we love to give new visitors tours of the different areas in our shelter. A Q&A with Charles Sadd and Kathy Archer, Volunteers from the Peace Challengers Toastmasters. Charles Sadd has been with the club for 4.5 years. He was part of the club for two years and them moved away to Lloydminster, but participated in their club before returning to Peace River in October last year. Kathy Archer has been with the club for 6 years. 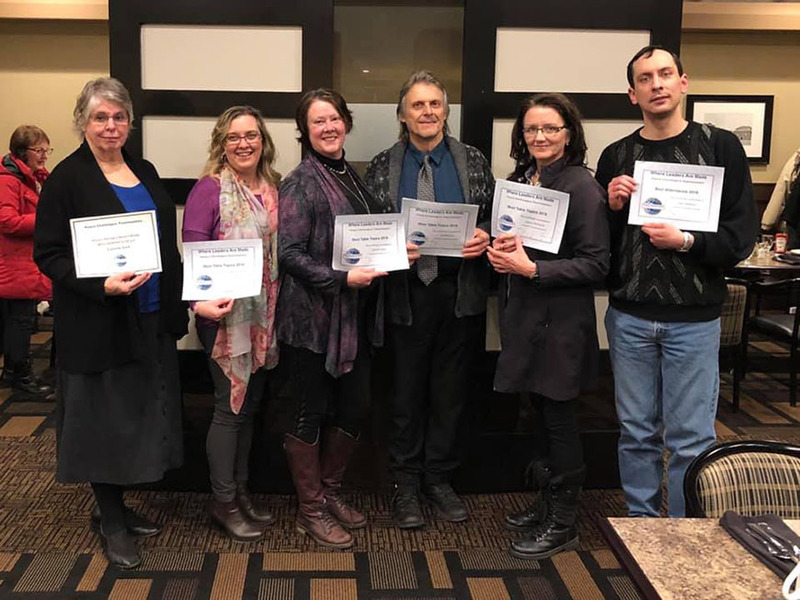 The mission of a Toastmasters Club is to provide a mutually supportive and positive learning environment in which every member has the opportunity to develop communication and leadership skills, which in turn fosters self-confidence and personal growth. When people join the club, they can volunteer each week to take on a role that will help them develop their leadership and communication skills. For example, each week someone volunteers to bring the “word of the day.” The members then try to use that word correctly in conversation as many times as possible. We have a volunteer executive board with 6+ members. Throughout the year we hold events to raise awareness in the community such as an open house. We have two speech competitions each year and run by volunteer evaluators and organizers. On occasion, members are asked to help out in other organizations to provide speeches, emceeing of events or speech judging at 4-H events. Last year members volunteered as the “Town Criers” at the Trade Fair announcing events and speaking on our feet. Charles – The best part is sharing the knowledge with others, allowing them to use it from education to personal everyday lives. Kathy – The best part is watching others grow and develop. It never ceases to amaze me how quickly people come out of their shell, develop confidence and improved their speaking capacity. Charles – Meeting people we see every day, answering questions on what the organization is and how people join for the 1st time. Kathy – At the end of many meetings the Quiz Master asks questions to see how well we were listening. One evening one of our members Jeff had told us about slipping on the ice. It was hilarious when he told the story. It was even funnier when at the end of the meeting, I, as the evenings’ Quiz Master asked what was Jeff wearing on his feet when he slipped when he went outside to bring the dumpster? Everyone yelled: Crocks!! We all had an instant image of Jeff “dancing” on ice in his sloped driveway in his crocks. To become a member of Toastmasters, one needs to be 18 years old. However, for some of our events, members children have come with them to help out. When members join our club and start to volunteer for various roles, they will experience a bit of a learning curve. However, it won’t take long before they feel like they know what is expected and more and more confident to take on new roles. We have an annual awards night in January acknowledging formal accomplishments and some fun “awards” as well. We have a Facebook page where we post events, celebrations and members successes. At times the local paper posts an article about our members or the club. Anyone curious about Peace Challengers is welcome to attend a couple of meetings to see if they would be interested in joining. A Q&A with Melissa Bucholtz a Volunteer at Peace Playland. 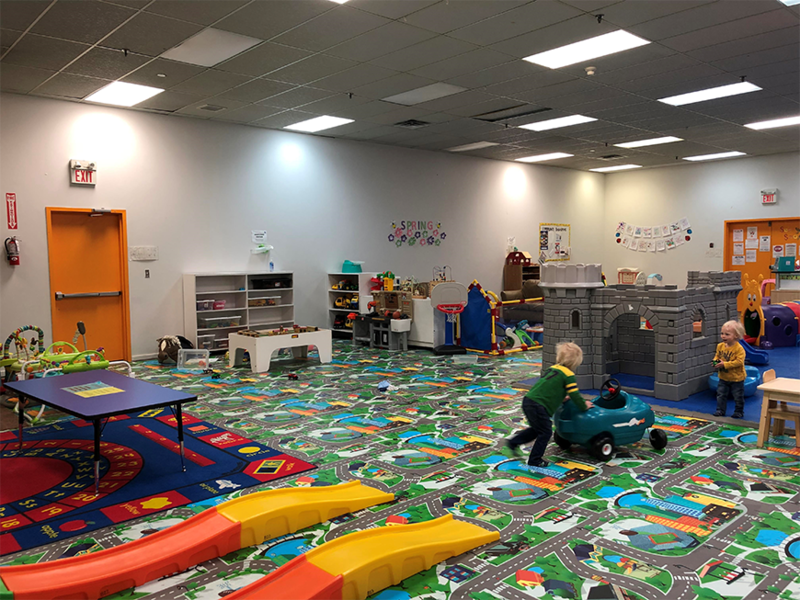 We are a not-for-profit toy lending library and play area geared for children 0-6 years of age with parent assisted free play. We are always looking for people to join the board of directors. Within the board we supervise the running of Playland, organize fundraisers/attain donations. Getting to know other moms & kids, access to the facility after hours, seeing support from so many local organizations. It’s not a specific moment, it’s seeing everyone working together and accomplishing something great for the community while having rambunctious kids running around. Meetings are held once a month at Peace Playland, kids are always welcome at the meetings. You would be asked to contribute to raising funds for the organization; this is done through approaching local businesses, organizing & helping at events. Executive board members have more responsibilities with overseeing the running of the organization. We get together for beverages & appetizers to celebrate our accomplishments on occasion. Come in or contact Peace Playland to find out when our next board meeting is and then just show up. Search Peace Playland on Facebook, call 780-617-3148, or stop in at the north-east corner of the Belle Petroleum Centre. A Q&A with Carson Murphy an Employee from the Peace River Museum, Archives and Mackenzie Centre. 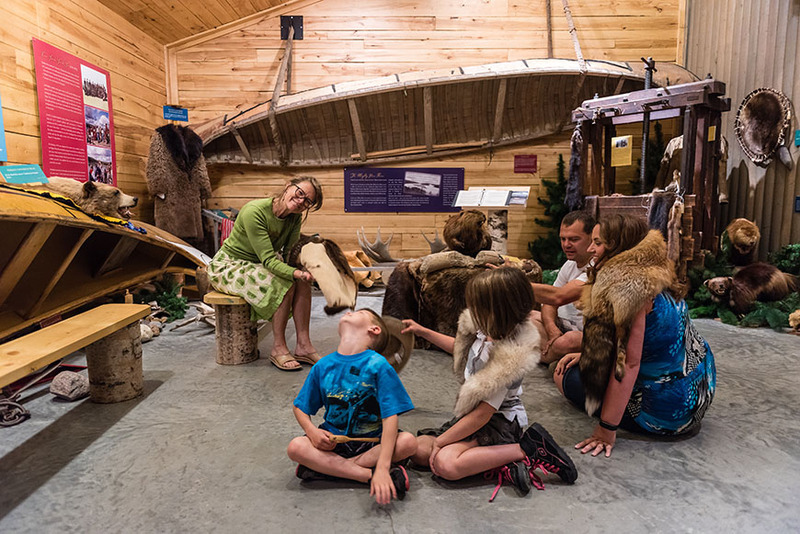 Peace River Museum, Archives and Mackenzie Centre. It varies amongst our staff, but myself the Archivist, and our Curator Laura have been here 4 years. Our Coordinator has been here almost 2, and our Research Assistant 15! The Artifact Collections Mandate of the Peace River Museum, Archives and Mackenzie Centre (PRMA) is to collect, preserve and make publicly accessible tangible objects that are considered to be significant to, and representative of, the human and natural history of the Town of Peace River and Shaftesbury Settlement. The Archive’s mandate is similar but covers a much larger region. We have a number of different opportunities which range from event set up and execution to research and collections work. We’re a pretty fun and relaxed place to work. You learn a lot here about the Peace River community and area history so you’re always discovering something interesting or fun. Plus as a museum you get to see and work with some pretty cool old stuff! One of my favourite moments volunteering was when we were reorganizing our research files. It took a lot of work to reorganize, relabel, weed and file and it was super rewarding when we finished the project. It was great to see how much more organized and accessible it was all thanks to the volunteer effort. We welcome volunteers that are 16 years of age or older. We try to match projects or tasks in line with our volunteer’s interest where possible. We are also very flexible in terms of how much time volunteers want to give. We have some who come for an entire day once a week, another who does an afternoon once a week, and still others who help only at one event a year. It depends what priorities the staff have set which determines what volunteer opportunities we have. Some volunteers only do archival tasks/projects, others work with the Curator and the museum collections, others might do both or just help with special events. Sometimes tasks can be repetitive and tedious, but they are ones that we need to have done and really appreciate the help with. When working on these we encourage breaks, or a rotation of tasks week to week. We really appreciate the contributions our volunteers make to the museum. Our research files, database, collections access and events are all improved by the work our volunteers do. We usually have a tea or supper once a year to celebrate and send a thank you card with a token of our appreciation. If someone is interested in volunteering, we encourage you to get in touch with us. You can drop by, but because we sometimes have a hectic schedule we would appreciate setting up an appointment. This way we can have a chat with a cup of tea or coffee and learn a little bit about what your interests are, what projects/tasks might be a good fit, and what kind of a commitment you can make. A volunteer can always do a test run, and if they find they’re not enjoying it, or are to busy to commit we understand. We presently have an increased demand for volunteers with a proficiency in computers, but don’t worry! Not all our projects/tasks are computer based. 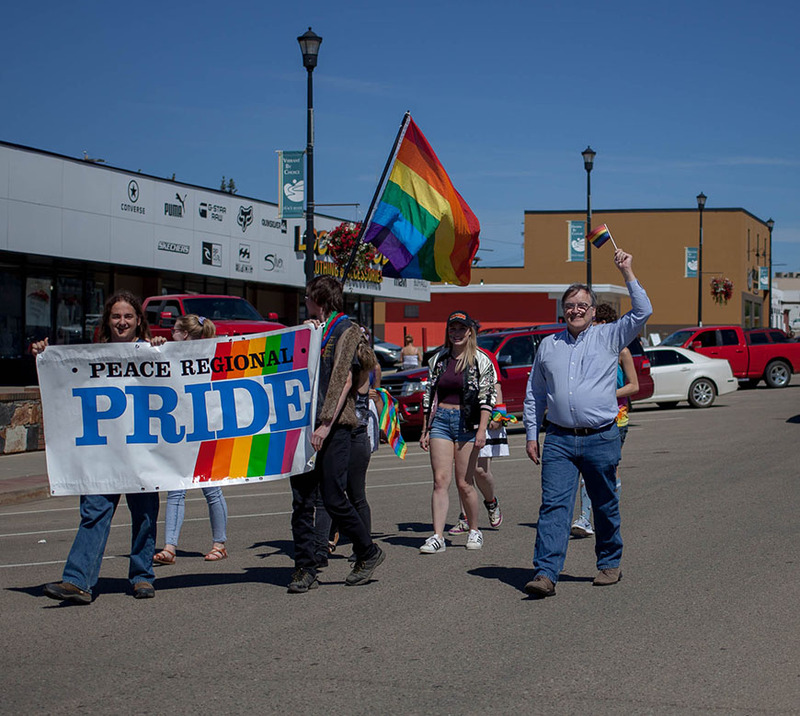 A Q&A with Autumn Hulme a volunteer from the Peace River Pride Society. The Peace River Pride Society (PRPS). Our vision is a safe, supported and connected LGBTQ2 community in the Peace Region. Our mission is to foster positive change, support, camaraderie, and safe space within the Peace Region for the LGBTQ2 community. We have several, we need volunteers for our board, we need volunteers to help plan and run the Pride Parade and other events around that, and we need volunteers to help with other programs throughout the year such as our social events. Getting to meet and work with so many wonderful local LGBTQ2 people and the allies, the sense of community. Watching the parade march down Main St., especially when you helped organize it, feels great! Volunteers can expect a friendly and supportive atmosphere, free pride swag, and the opportunity to contribute meaningfully. We always thank our volunteers, we recognize them at the board level at the AGM, and we recognize them during the Pride Parade Weekend Events. We also have a thank you bunch for volunteers. Interested volunteers can email us peaceriverpridesociety@gmail.com or message our Facebook page https://facebook.com/prpridesociety/ .